New Chicago Bulls superstar Dwayne Wade certainly knows a thing or too about the business of sports. This past Thursday, he lent his expertise as the keynote speaker at a sports and entertainment summit. The summit was put on in Los Angeles by Variety and Sports Illustrated. As part of the presentation, Wade was interviewed by SI’s Lee Jenkins on stage. Wade talked extensively about his move to the Bulls. He also addressed the powerful speech that he and fellow stars Carmelo Anthony, LeBron James and Chris Paul delivered the night before at the ESPYs. 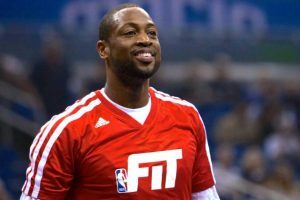 Wade went back to his hometown team this off-season after spending the first 13 years of his career with the Miami Heat. During his lengthy stay in Miami, he built one of the greatest sports careers in the history of South Florida. Originally the fifth overall pick of the 2003 NBA Draft, Wade holds the Heat’s franchise scoring record. He is a 12-time All-Star and has been named to the All-NBA team on eight occasions. Wade has won three championships and was NBA Finals MVP in 2006. He also has gold and bronze Olympic medals as a member of USA Basketball. If your company is interested in finding out availability and booking fees for a professional basketball player like Dwayne Wade or other sports celebrities for a Keynote Speech, Product Promotion, Guest Appearance, or Basketball Camp, call us at 1-888-246-7141.